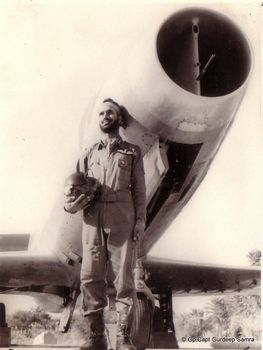 Deliveries of the HS748 to the IAF began in 1964. 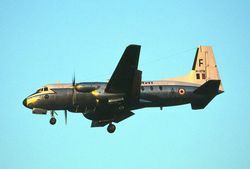 The HS748M was the workhorse of the IAFs transport fleet before the An-12 and An-32 took the role. 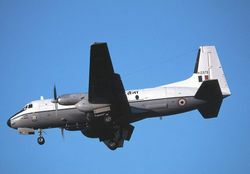 An estimated 32 aircraft are still in service with the IAF and are mainly used for communication and transport training duties. HAL is planning to modernise some of the aircraft, as the IAF expects to keep them in service till 2020. Five Avros seen at the dispersal area at Begumpet. 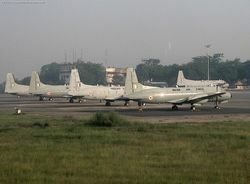 Five Avros seen at the dispersal area of the Air Force Station at Begumpet. 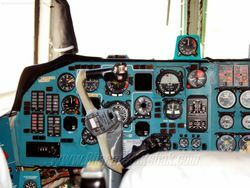 The aircraft are operated by the resident Navigation and Signals School. HS748 [H2377] at Air Force Academy Dundigal. HS748 [H2377] of the HQ Training Command Flight at Dundigal Air Force Academy. The aircraft has since been painted all-grey. 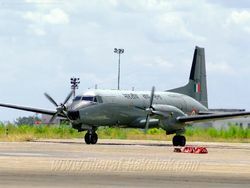 A HS.748M (H-913) from the Transport Training Wing (TTW) based at Yelahanka. A HS.748M from No.11 Rhinos Squadron, in tones of dark green and light blue. 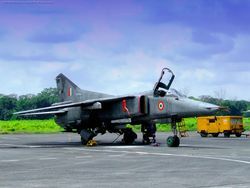 A HAL HS.748 Avro, from the IAFs Communication Squadron, prepares for take-off from Palam AFS. A HS.748M (H2378) from No.11 Rhinos Squadron. The HS.748Ms were military freighters; they had an oversized cargo door, a strengthened floor and up-rated engines. 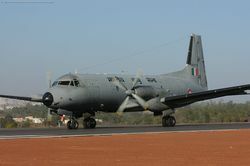 A HS.748M (H1175) on static display from Begumpet AFS. A HS.748 [H1181] on the final approach to Runway 27 at Mumbais International Airport. 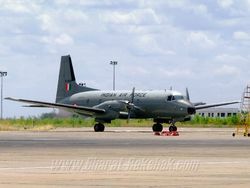 A HS.748M (H2379) Sarathi of Central Air Command Communication Flight coming in to land at Palam AFS. A HS.748M (H1178) of the Pegasus Squadron (HQ and VIP Flight) coming into land at Palam. A HS.748M [Serial Unknown] being fuelled. 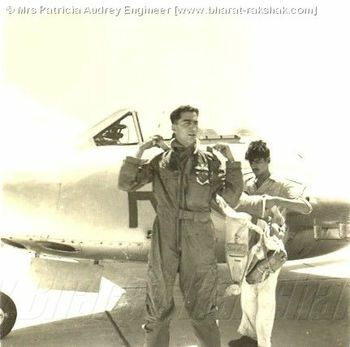 Note the name Garud painted on the nose.